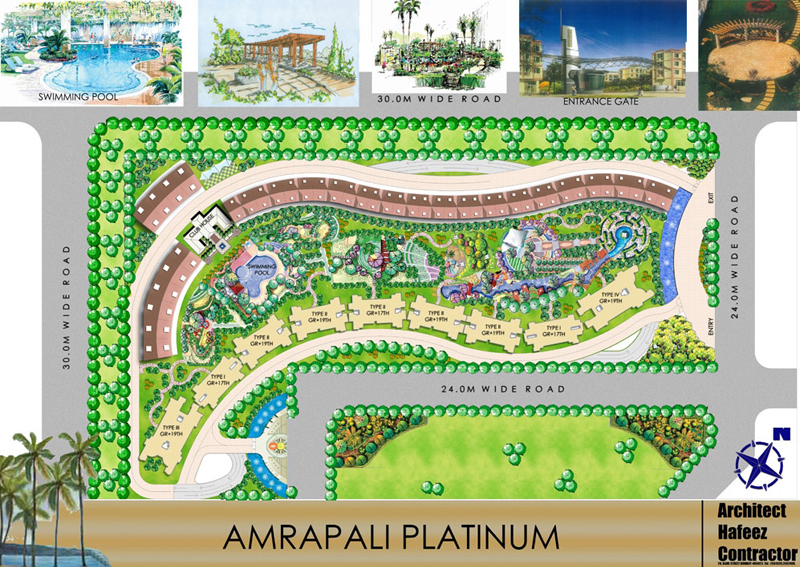 Amrapali Platinum is on of the biggest projects of the Amrapali Group. 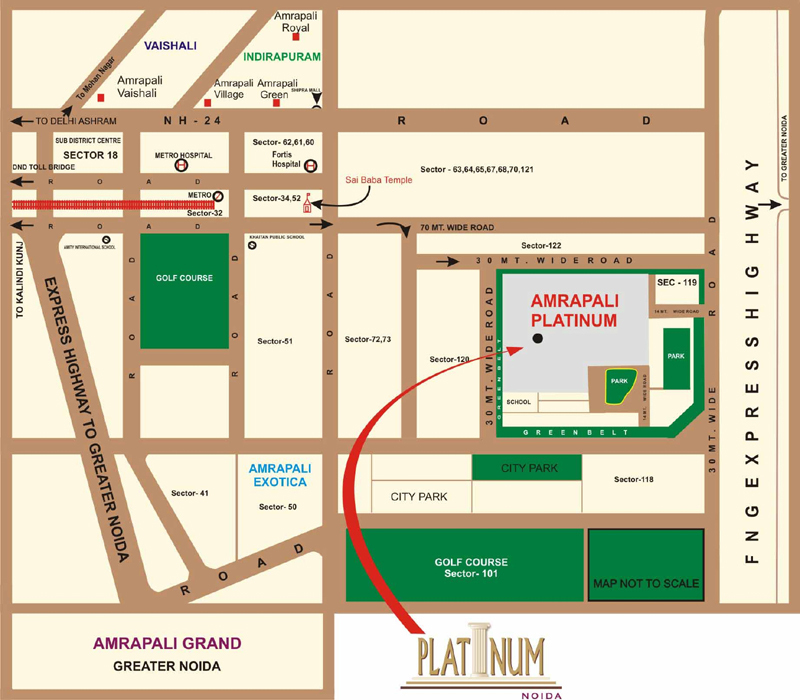 Amrapali Platinum strategically located at sector 118 Noida. Over the past years Noida has emerged as a planned, integrated, modern industrial city that is well connected to Delhi. It is also one of the largest planned townships of Asia. 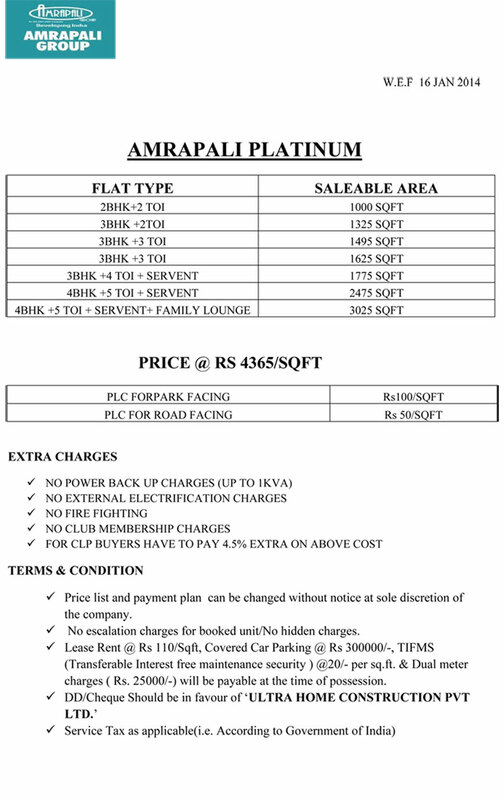 Amrapali Platinum offers the best and the highest standard of living in all respects. 80% open area offers free flow of light & air to each apartment. Vastu compliant, lavishly built entrance lobby in each tower, state-of-the-art club features are a few insights to the project. 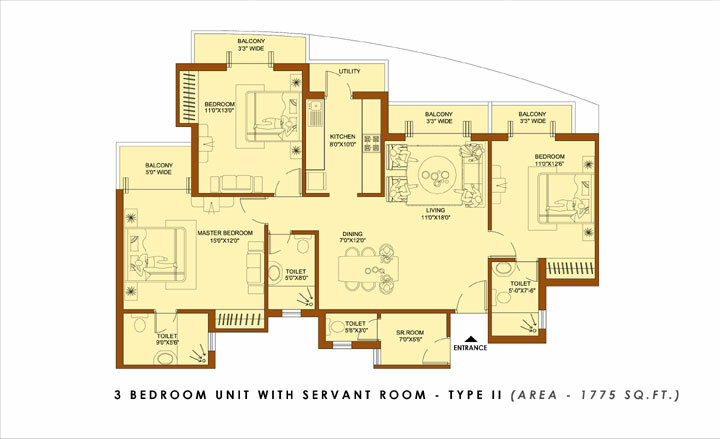 Accommodation offered includes Duplex Villas, Penthouses and Apartments ranging from 1495 to 6000 Sqft. Approx 80% of the Plot Area open to have free flow of Light & air to every Corner of each Appartment. Land Alloted by Noida Authority. Two State of Art High speed Capsule Lifts in each Tower. Uninterrupted Water supply from water softening plant along with separate R.O. for each Kitchen. Club House with Swimming Pool, Lounge/Reading room, Internet, Gymnasium, Steam & Sauna bath, Jacuzzi, Table Tennis, Lawn Tennis, Basket Ball. Court, Squash Court, Billiards & Multipurpose Hall for get together. In house maintenance services for all common facility. Earthquake resistant RCC Structure as per ISI codes. Lavishly built entrance Lobby in each Tower. FIRM PRICES - NO ESCALATION for units already sold. 100% Power Back up for each flat. Jogging Track, Beautifully landscaped park with water body within the complex. Installation of fire fighting as per latest norms. 24 Hours twin level centralized security with video phone in each flat. High Speed wireless internet commection in whole complex. 5-7 minutes drive from Metro Station. 10 minutes drive from Atta Market, Sector 18, Noida. 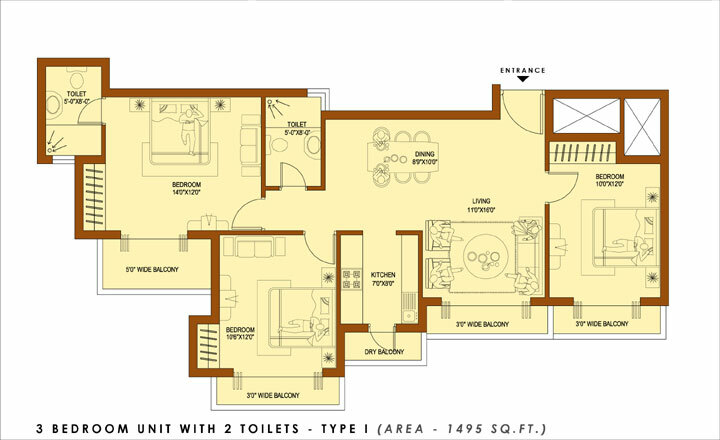 3 Bed + 2 Toilet - Saleable Area: 1495 Sq. Ft.
3 Bed + Servent	- Saleable Area: 1775 Sq. 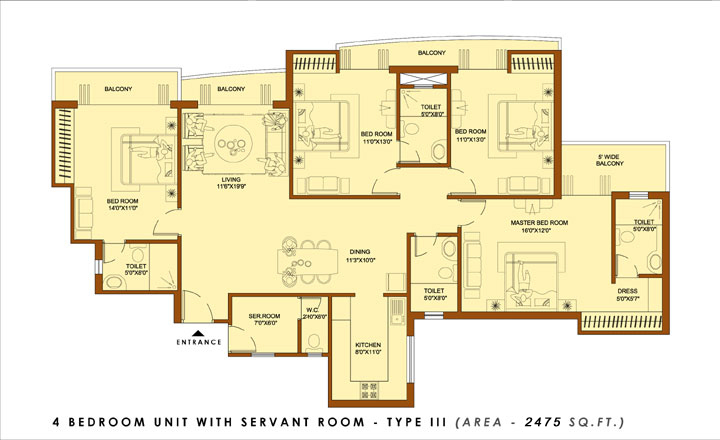 Ft.
4 Bed + Servent - Saleable Area: 2475 Sq. 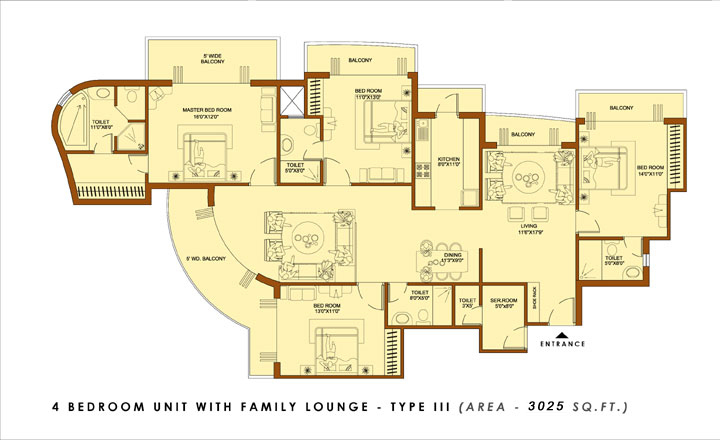 Ft.
4 Bed + Laung - Saleable Area: 3025 Sq. Ft. Walls : Designer Ceramic Tiles with border up to 7'-0"